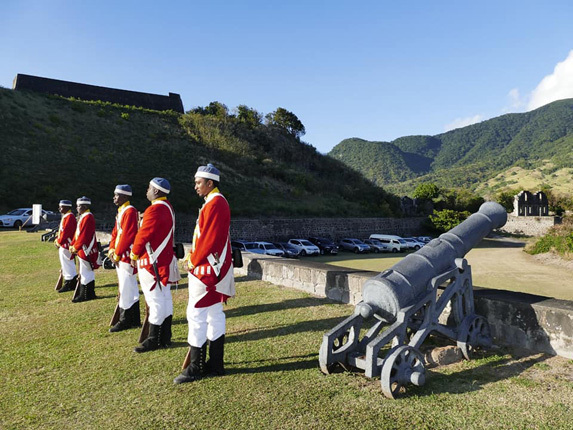 (Photo by Michael Martin) Launching of the Changing of the Guard ceremony at Brimstone Hill 17-03-2019. 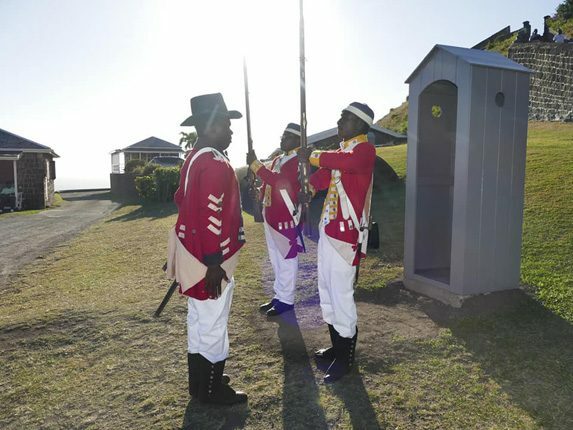 (ZIZ News) – Visitors will now get the opportunity to witness a newly introduced feature at the Brimstone Hill Fortress National Park following a Passing Out Parade this past weekend. 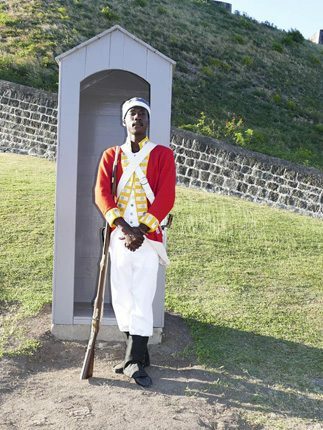 In an effort to enhance the visitor experience at the Brimstone Hill Fortress National Park, the Brimstone Hill Fortress National Park Society introduced a new feature dubbed, “The Changing Of The Guard”. 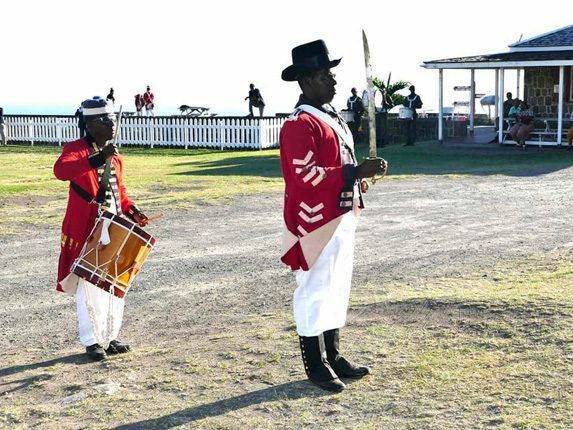 The newly introduced feature was launched during a special ceremony held at the Parade Ground, at Brimstone Hill on Sunday, March 17 2019. 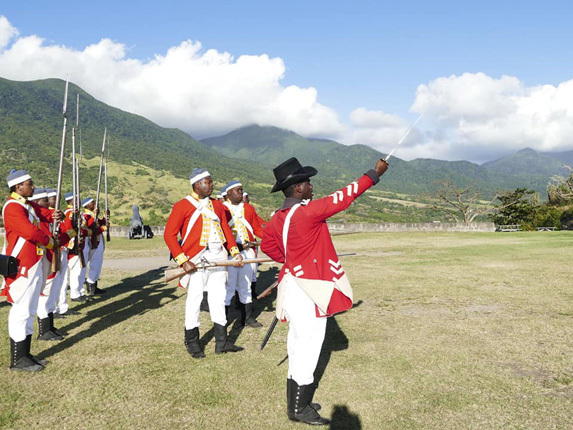 General Manager of the Brimstone Hill Fortress National Park Society, Percival Hanley explained how the idea came about, noting that the concept stemmed from an overall review of the National park. 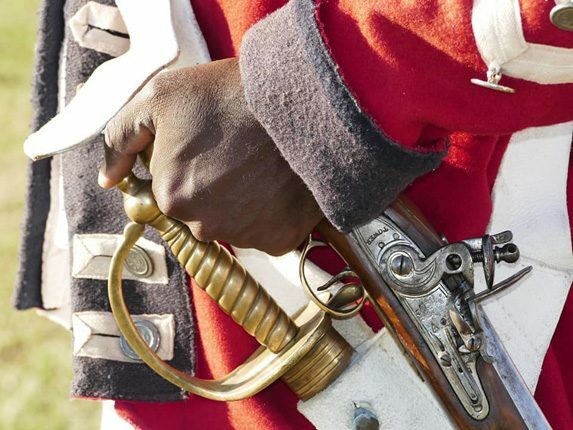 The changing of the guard will become a daily display of soldiers dressed in the uniform of the 4th West India regiment. During his remarks, Minister of Tourism. Hon. 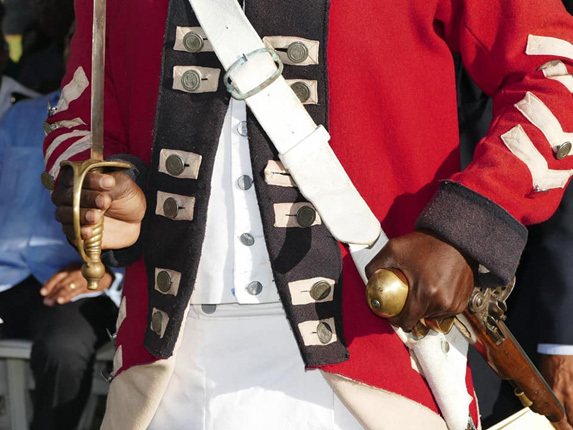 Lindsay Grant explained that before 1807 soldiers had generally been purchased from slave ships by the army. However, after the parliamentary abolition of the British transatlantic slave trade in 1807, the British Navy intercepted ships of other nations carrying slaves. These slaves were often recruited to the West India Regiment. 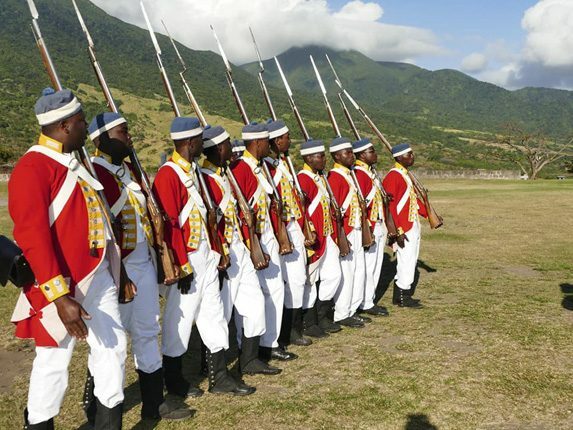 Minister Grant said the introduction of “The Changing Of The Guard” at Brimstone Hill pays homage to our ancestors. 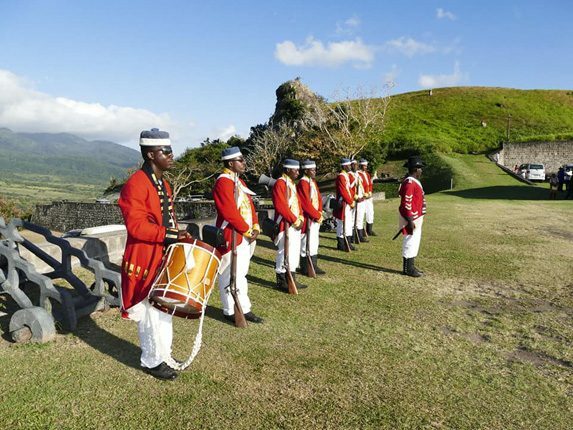 Minister Grant also used the opportunity to thank the staff and the members of the Brimstone Hill Fortress Society for their continued efforts and dedication that help to preserve, restore and manage the UNESCO World heritage Site. The ceremony was followed by a passing out parade for the recruits who will serve as the guards. Going forward, the soldiers will stand guard at the fortress and will be changed hourly with a brief military ceremony.